MANILA, Jan. 24 (Xinhua) -- Starting this year, Philippine government officials and employees will no longer be allowed to travel abroad during disasters and emergencies such as typhoons, according to a statement released by the Philippine Department of Interior and Local Government (DILG) Thursday. The statement said this move is to ensure that mayors and other local government officials would not be "missing in action" during emergencies and calamities. On Jan. 4, Philippine Interior and Local Government Secretary Eduardo Ano issued a memorandum to local government officials, saying "that their travel authorities and leave of absence are immediately recalled in case disasters strike." "As we are guided by law, we will exercise it to its full extent to ensure that local chief executives are where they are expected to be in times of disaster or calamities," Ano said. On last Monday, the DILG endorsed administrative sanctions against five town mayors from northern Philippine main island of Luzon before the Office of the Ombudsman. The DILG said they did not find their explanations for being "missing in action" during the disastrous typhoons in September 2018. Under the local government code, the provincial governor, city mayor, and municipal mayor should carry out emergency measures as necessary during and in the aftermath of man-made and natural disasters and calamities. "Local chief executives should be physically present in their respective stations especially during times of disasters. As chairpersons of their respective local disaster risk reduction and management (DRRM) committees, they must personally oversee their local disaster management preparations and operations," DILG Assistant Secretary and spokesperson Jonathan Malaya said. 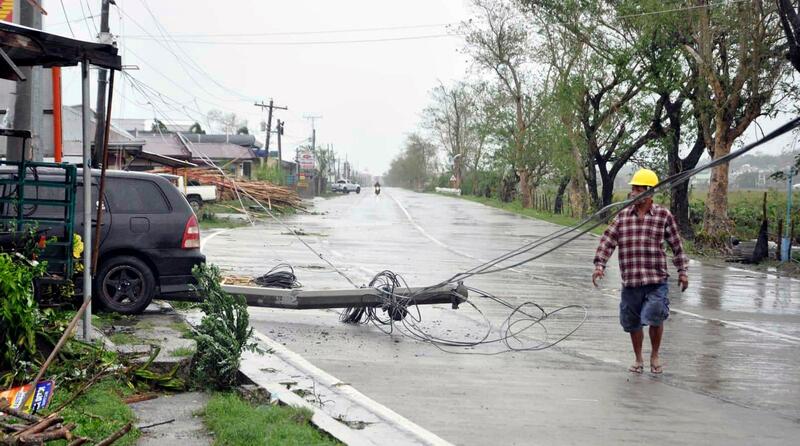 The Philippines is one of the most disaster-prone countries in the world. Annually, an average of 22 tropical cyclones strikes this archipelagic country, of which around six to seven cause significant damage. Also, the country is highly exposed to geologic hazards including earthquakes and volcanic eruptions.